Making online marketing simple and accessible for local organizations. 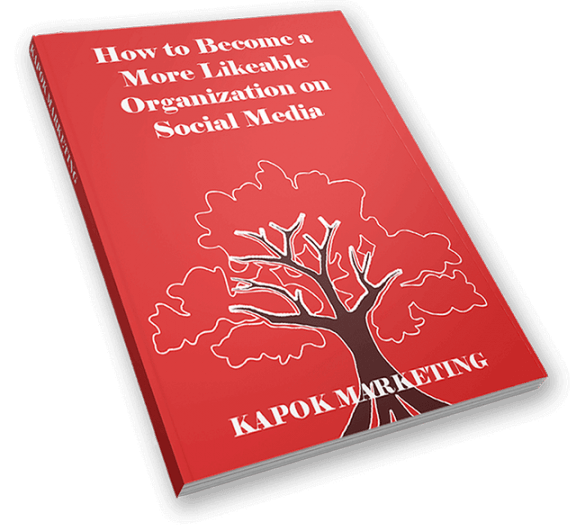 Learn how to transform your organization into a likeable organization and crush it on social media. We are local entrepreneurs and digital marketers. With more than a decade of experience in business management, digital marketing and information technology, we understand what it takes to start and run a local business. Our goal is to use our experience and expertise to help local organizations understand and take advantage of digital marketing opportunities, especially online marketing. Creation and sharing of online material (blog posts, infographics, checklists, white papers, memes, videos, etc.) intended to build long-term credibility and trust, and convince the target audience to eventually purchase products or services. Planning, creation, and management of paid search engine and social network ads with a specific offer and call to action, such as Google AdWords and Facebook Ads, intended to grab attention, create interest, spark desire, and lead to action from the target audience. Analysis, selection, and utilization of popular social networking platforms to increase brand awareness, boost customer satisfaction and build loyalty, promote products or services, drive website traffic, manage online reputation, and much more. Planning, custom design and development, and hosting of business, personal, eCommerce, blogging, portfolio, online community, podcasting, photography, educational, non-profit, and various other types of websites built from scratch or using WordPress or Shopify. Thorough analysis of the organization’s internal strengths and weaknesses and external opportunities and threats in order to fully assess its current position, set goals for the future, create a plan for accomplishing the set goals, and manage the implementation process. Not sure if your marketing needs fall into our areas of expertise? We’d still love to hear from you. Just let us know what you’re trying to accomplish and we’ll let you know if it’s something we can help with. If it’s not, we’ll try to refer you to one of our local partners. At the end of the day, we feel great when we do the best job possible and treat every client with care. Happy clients make us happy. It’s that simple. We live and work here in the Tampa Bay area, so it is very important to us that we make a positive impact in the local community. We do our best to be the best people and digital marketers. Knowledge is power. We believe in empowering local organizations by offering as much free digital marketing information as possible. The secret sauce for our success is not hoarding valuable information, but rather implementing successful digital marketing strategies and thoroughly understanding our clients’ digital marketing needs. We are not afraid to make large amounts of valuable information available to the public at no cost because we believe that our skills and experience are unique enough to give us a competitive advantage in digital marketing. The truth is that, regardless of the amount of internal knowledge, most organizations still need help from outside marketing experts. No one person can be good at everything. Organizations are great at providing the goods and services they specialize in. Their staff should not be expected to be digital marketing experts as well. That is where Kapok Marketing comes in. Have a Marketing Question for Us? We'd love to hear about your digital marketing question or challenge. If it's something that can help many people, we may incorporate your inquiry and our answer into our knowledge base of free information on our blog or Kickin’ it with Kapok podcast. If it's something more complex or intricate, we may suggest a product or service from us or someone else. Either way, we'll get back to as soon as possible with our answer and how we may be able to help.